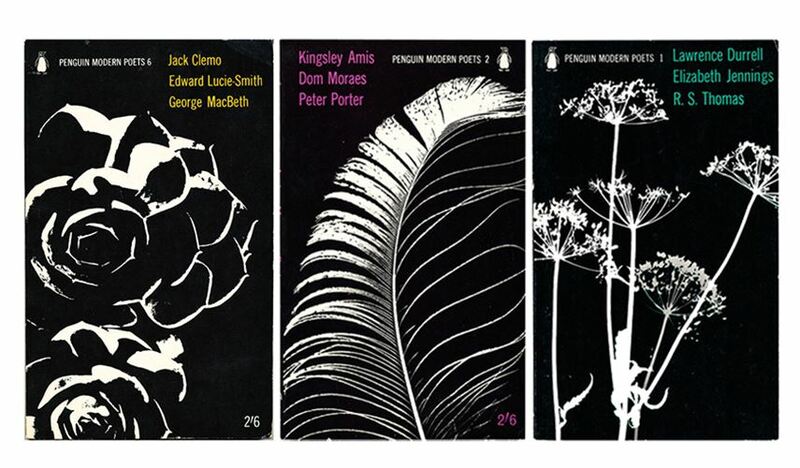 Penguin Modern Poets was a series of poetry books published by Penguin in the 1960’s and now, over 50 years on, in 2016, the collection has been revived. Featuring a new generation of poets the series is aimed at both ‘seasoned poetry fans’ and ‘urious readers’ alike. 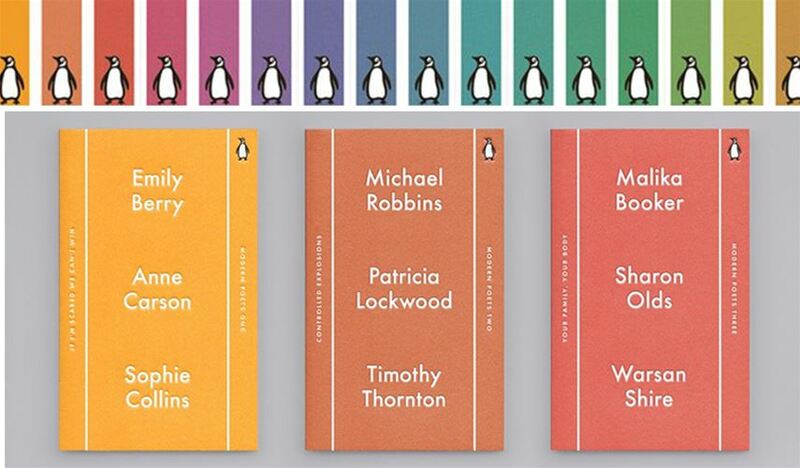 Along with a roster of 21st century poets, the books have been given a 21st century design update. 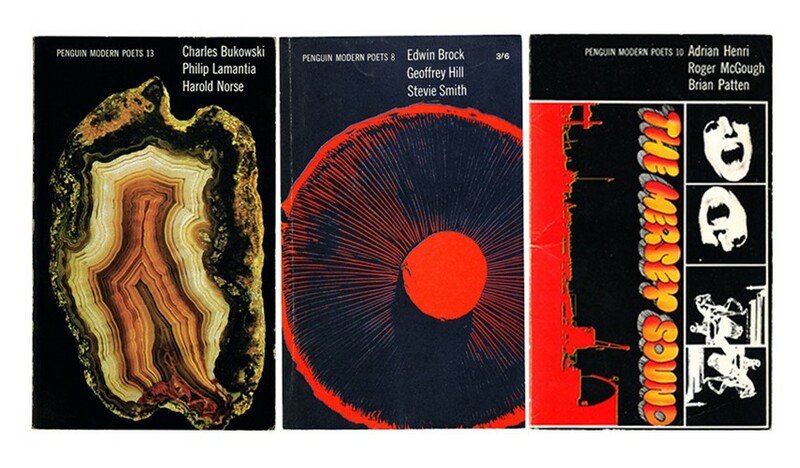 Designing the original covers would have been a hard task as each book contains poems from three different poets which would be hard to portray in a single image or illustration. The original covers opted for a negative photographic image which was created without a camera by Peter Barrett, Roger Mayne and Alan Spain. The final image created gives the impression that it could have many meanings which wouldn’t be pinned down to one particular poem. The overall effect it gives is one of calmness, until the tenth volume when Alan Spain broke the mould and injected some colour and stand out to his designs. The tenth edition was aimed to target the younger generation who wanted to associate themselves with the new ‘performance poets’ of the time. Moving into 2016 the purpose of the new covers is to ‘create a timeless and approachable design’ says Tom Etherington, designer of the books. The new designs are stripped back with simple type and colour combinations. The bold titles name each of the poets involved in that volume. Colours were inspired by fruit pastels and as they evolve throughout the series will create a rainbow of spines on a bookshelf. They are aesthetically pleasing, simple and elegant using beautiful colour, clean lines and simple type. Classically Penguin. The New designs are perfect for all varieties of poetry readers but for those newcomers wanting to join the world of poetry is doesn’t give you a preconceived idea of what is to come as you delve inside.